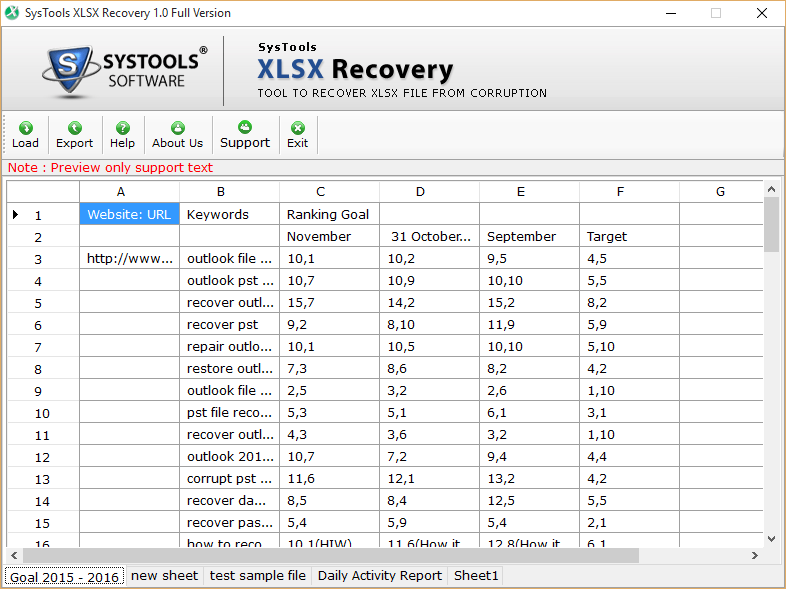 Excel XLSX Recovery Software is the best solution that will help a user to repair damaged .xlsx file and after recovery provides an option to export and save data in healthy file format. Also, it is capable enough to resolve XLSX file corruption issue. Moreover, it has a simple and easy-to-use interface that even a non-technical user can recover 'n' number of files without any size limitation. Even the folder hierarchy and data integrity are maintained as well. 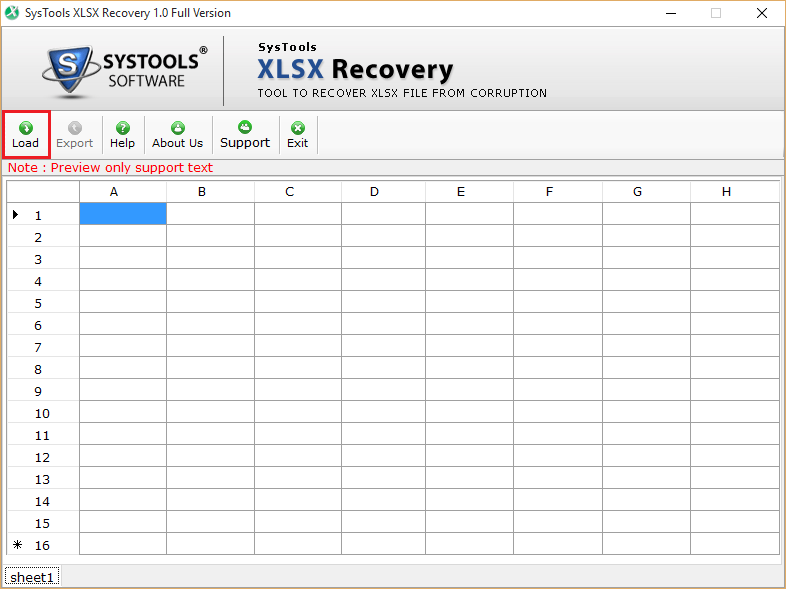 XLSX repair software is capable enough to carry out recovery of data from the corrupt or damaged Excel files (.xlsx). This process is executable with the advance technology that can be utilized in the software programming. It is a trouble-free solution that provides advance .xlsx recovery with an ease. The XLSX file Recovery tool provides a solution to fix system related error, compatibility, hardware issues, or virus attacks. 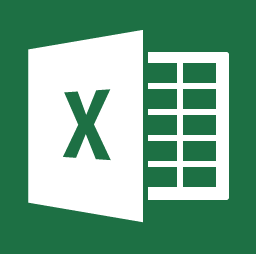 In general, any reason resulting in Excel (.xlsx) file corruption may be resolved with the help of this tool and retrieves a healthy Excel 2007/2010/2013/ 2016 file. Users can recover inaccessible XLSX files and further export into the healthy file. The XLSX File Recovery tool renders an export option to save the previewed data, after file recovery is performed successfully. In order to preserve data in a healthy format, software can provide XLSX file format to export data itself. The XLSX repair tool has provided a user-friendly and self-explanatory function. However, there is no need any expert while using it even a novice user can use it. Besides this, swiftness and precision both are most important features demanded by technical experts that make the tool universally convenient. The XLSX Recovery software offers reliable and high-speed repairing process. In the data recovery process, it provides fast recovery without compromising the integrity of data. Moreover, it can preserve spreadsheet data along with properties such as; font size, color, formatting, etc., in a secure manner. It is a Windows-based program being compatible with all Windows 10/8.1/8/7 and other below versions of Win Operating system without any restrictions or limitations. Also, this office 2013 repair xlsx software is compatible with all the latest editions of MS Excel 2007, 2010, 2013 and 2016 successfully. Trial Version of XLSX Recovery Software only previews the recovered data. Get Download Demo of XLSX File Repair Tool Immediately for Free!!!! Excel cannot open the file "sample-file.xlsx"
Excel found unreadable content in "sample-file.xlsx"
How MS Office XLSX Recovery Tool removes errors from corrupt DOCX files? Load, corrupt .xlsx document having errors. Finally, click on 'OK' button to exit. Can I restore multiple .xlsx files at a time using XLSX repair tool? Yes, XLSX recovery tool is capable enough to restore a single XLSX file at once. Although, users can process any number of files yet one by one. 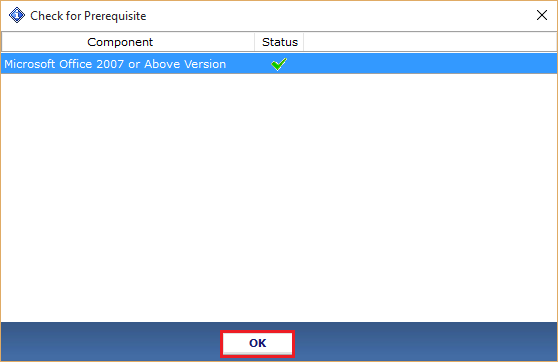 Is XLSX file recovery tool compatible with MS Office 2007? Yes, this application supports MS Office 2007. Any edition of MS Office suite i.e. 2010 or above must be installed on the local machine. With XLSX repair tool, Can I repair all sheets stored in Excel file? Yes, this tool is capable restore damaged .xlxs files and then, export it as healthy file format. Does this software allow to recover or repair corrupted XLSX files? Will this software offer a quick recovery without compromising the data integrity? Yes, our tool preserves cell formatting, formulas, and other spreadsheet properties during the recovery process. Does this application resolve XLSX file corruption problem? Yes, this amazing tool can resolve system related issues, compatibility, virus infection or hardware problem. Also, it can resolve XLSX corruption problem. “The most attractive feature about this XLSX repair is that it provides an export option to save data in a suitable yet healthy file format. This feature helps to restore .xlsx file object in a new Excel file. I found this tool really amazing to retrieve inaccessible .xlsx files. 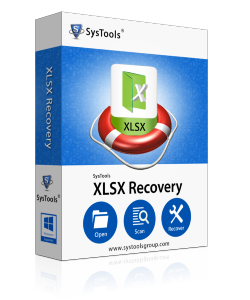 Thanks to XLSX recovery tool for saving my lots of time with such advanced features. Thanks a lot to the development team!!" “XLSX recovery is one of the best solution that I liked very much. This software has a very smooth working and even its graphical interface is very simple and easy. Thanks to the developers for initiating such a great tool. I really liked the working of this software. Great Solution!!" "I am totally satisfied with the performance of this XLSX recovery tool. The best thing about this product is that it does not require any prior knowledge to perform the complete working of this tool. I really want to thank for developers for such a brilliant software"